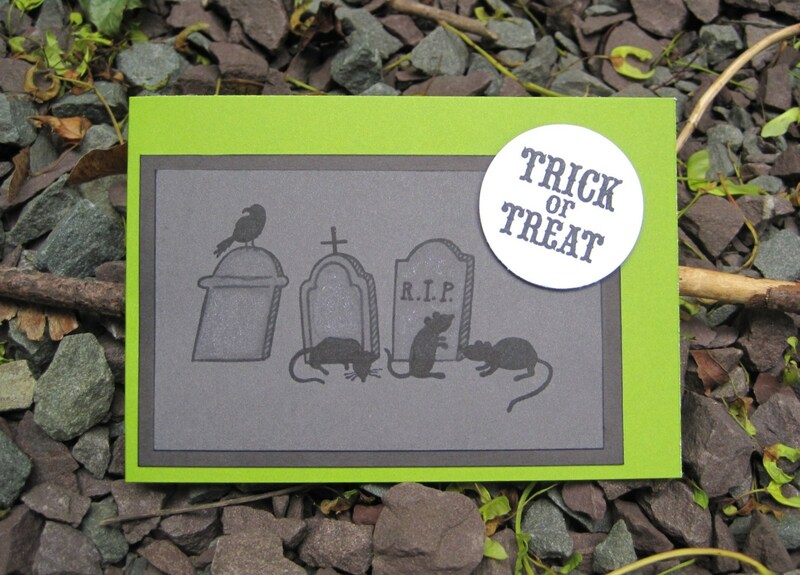 Featured on this card are the Three Mice Silhouette, Cemetary Row, and Trick or Treat stamps as well as NEW 8.5×11 papers in Grass, Onyx, and Slate. Be sure to check out the Paperie Blog today for a cute idea for a treat box featuring new AP stamps! super cute! i love pairing the slate and new onyx together, too! The green just makes this pop – great work! Love those little mices! Nice masking too! love this meghan.. the combination of the graveyard and rats is perfect! !